Custom Stripe is a professional pavement maintenance business serving West Texas and the surrounding area. Our goal is to provide excellent service at an affordable price. 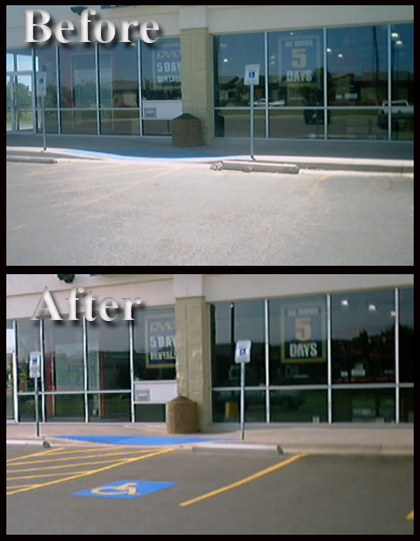 We work hard to improve the quality of your parking lot in a timely manner to keep your business operational. We treat our jobs seriously no matter how big or small. As seen our services not only make your business look better but it is functional as well. We strive to keep our customers satisfied and enjoy making Texas a better place to live.